Brief Description: YEAR 2014. HOURS 1389. STEERING WHEEL. 4X4. FLAIL RIDE ON MOWER. DIESEL ENGINE. 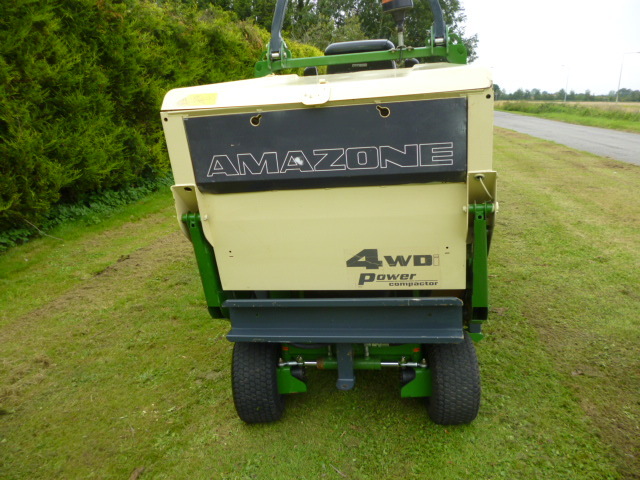 More Information: 1.25 m mowing width, out-front mowing deck with integrated PowerCompactor collecting and transfer system using a horizontal and vertical auger. Safe operation on slopes with the intelligent 4WDi four-wheel drive. Better protection for the operator due to the new pivoting safety frame fulfilling the requirements according to EN ISO 5395. Compact design and 0-turning circle. Precise in operation, even in corners, without first driving over the material to be cut. Quick and manoeuvrable in any terrain. SmartCut Exact cut rotor with chevron mounted knife layout for improved cutting and collecting performance at a reduced noise level. Mowing in any weather, even in damp grass. Start early in the morning without any hold ups! Blade change without tools – quick, simple and safe! 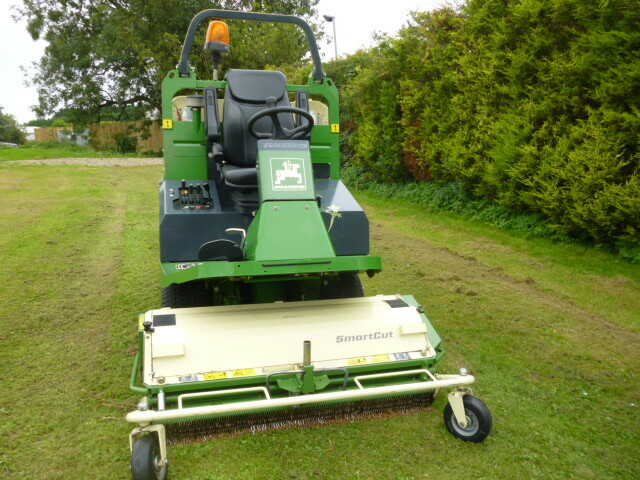 Versatile operation, all year round: Spring – scarifying, Summer – mowing, Autumn – leaf collection. Less time-consuming emptying: Thanks to the compression concept of the PowerCompactor system, more than 1,000 litres of non-compressed cuttings can be packed into the 730 litre collecting hopper. 40 l fuel tank for uninterrupted operation – the whole working day long. The PowerCompactor conveying system with its augers is insensitive to damage! Even tins, horse droppings and other rubbish can be collected. The force-feed conveying of the PowerCompactor system operates without air assistance and is therefore virtually dust-free and quiet for the driver, passers-by and residents. Compliance is achieved in all environmental regulations. 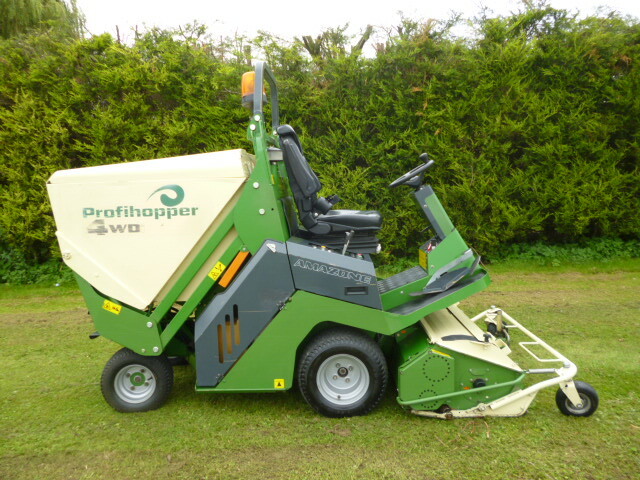 High-lift tip up to 2.1 metres for quick emptying into lorries or trailers – comfortable discharge of the collecting hopper to wherever you want. For operation in normal terrain, the Profihopper iDrive is recommended. The 2-wheel drive is safely provided via two hydraulic motors. 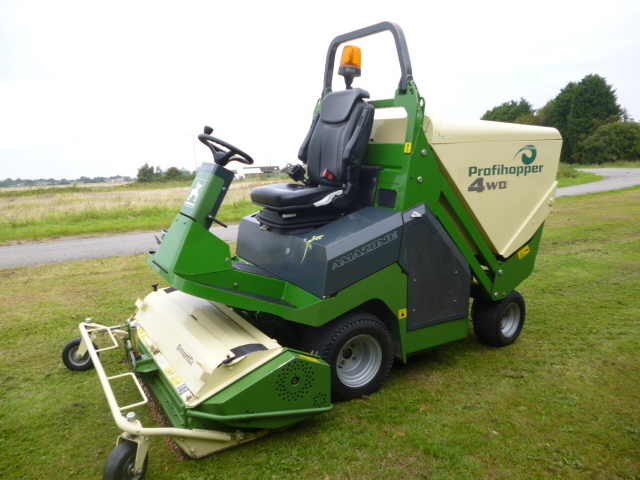 It is equipped with the PowerCompactor system, the new high performance mowing unit which convinces with its compactness, efficiency and operational performance. Intuitive steering via the steering wheel comes as standard on the Profihopper iDrive.